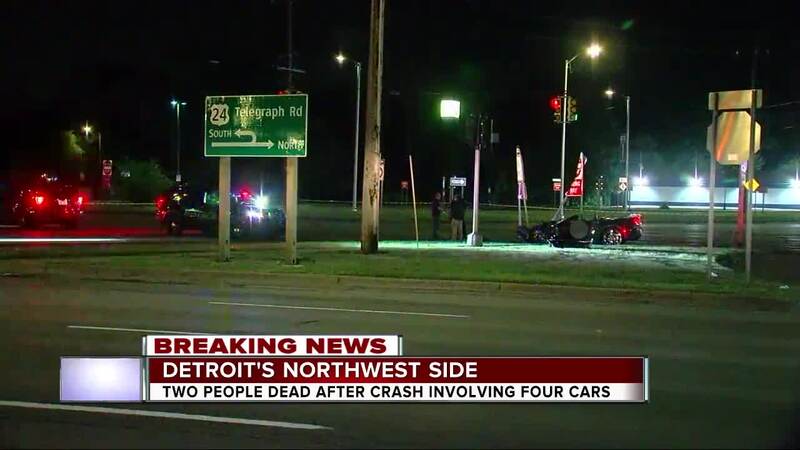 Two people are dead after a crash involving four vehicles overnight. According to Detroit Police, a Corvette took off from a traffic stop in Southfield leading Southfield police officers on a chase. The chase was called off when the driver crossed into the city of Detroit. 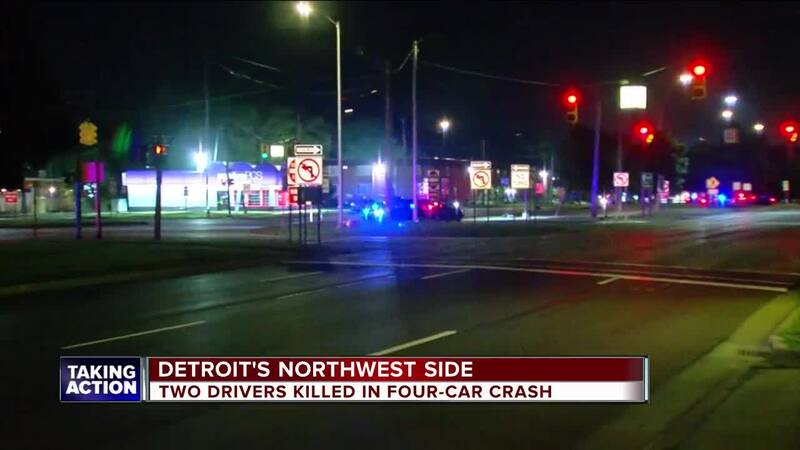 Around 1:30a.m., the driver of the Corvette struck a Pacifica at Telegraph and Grand River on Detroit's west side. The single occupants of both vehicles were killed. Shortly after, a Dodge Charger struck the Pacifica and a nearby Chrysler 200. The four occupants of the Charger ran from the scene. We're told a 46-year-old man in the Corvette and a 41-year-old man in the Pacifica were killed in the crash. The cause of the crashes remains under investigation.